Adoptions From The Heart, as part of its lifelong commitment to its adoptive families, presents its spring 2015 Adoption Education Class: Effects of Drugs and Alcohol Use During Pregnancy. 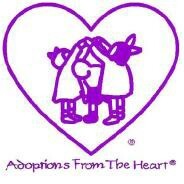 It is important for prospective adoptive parents to make educated decisions when selecting options on their profile key. Join AFTH in Cherry Hill where they will welcome Jacqueline Papa of Southern New Jersey Prenatal, who will discuss in depth about the short and long term effects of drug and alcohol use during pregnancy. All prospective adoptive families are encouraged to attend as this course will provide a wealth of information useful for completing their profile key. The course will be held on Wednesday, May 6 from 6:30 to 8 p.m. at the AFTH Cherry Hill office, 451 Woodland Avenue Cherry Hill, NJ 08002. Pre-registration is required as space is limited. The cost is $25 per person or $35 per couple. Call (856) 665–5655 to register or for more details and to register visit www.afth.org/community-education.